Did you know that May is National Egg Month? Well the month is almost over but we couldn’t go without celebrating this cracking event. So in order to get you eating and enjoying eggs even more, this week we are offering a free egg cosy with every egg cup order. Our range of egg cups is eggstraordinary, with everything from the very quaint egg cup tea cups to the arty marmite egg cup set to an egg cup that looks like Tarzan! You’ll find egg cups for all the family and they will all help to make breakfast time a little more fun. So why not treat yourself and the kids? 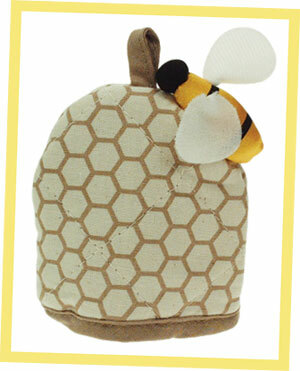 But any egg cup this week and get a free bee hive egg cosy.